Wheel Thrown Pottery has been an ancient practice that is still used and value not as much as a vital form of food processing or water storage means but as an art form of self-expression and a great source of therapeutic experience. Ceramic pieces are the subject of Gallery displays, the flexibility of its process of creation, allows artists to come up with unique pieces that captivate interest for its beauty and ingenuity. Some users claim Pottery wheel throwing as a therapeutic practice, while for others it is a fun experience of art entertainment. The class includes one hour of instruction, materials, tools, and firing. 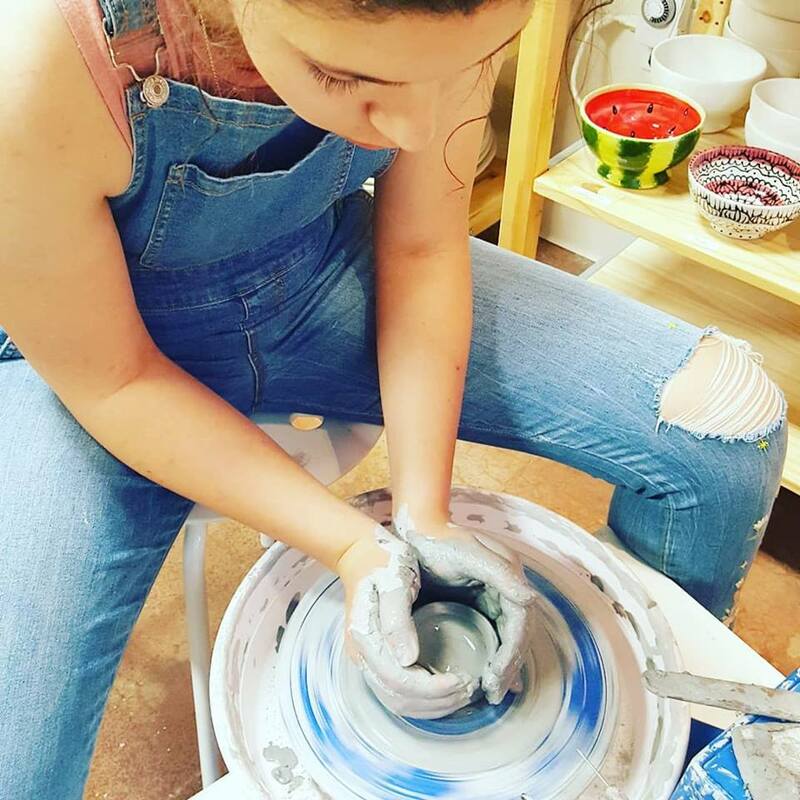 A first-time visiting student will create a piece with the help of an instructor and pick up the final fired piece in two weeks after the session. Ideal for Couples Night Out, Daddy-daughter date, etc. Come with a friend or loved one and experience the process of creating pottery. This class includes all the materials needed to create a piece and one hour of instruction for two. Create your piece during your pottery wheel class and come two weeks later to design and paint your piece for an additional $8 studio fee. Studio fee includes all glazes available at the studio, deep glaze of your piece and second firing. 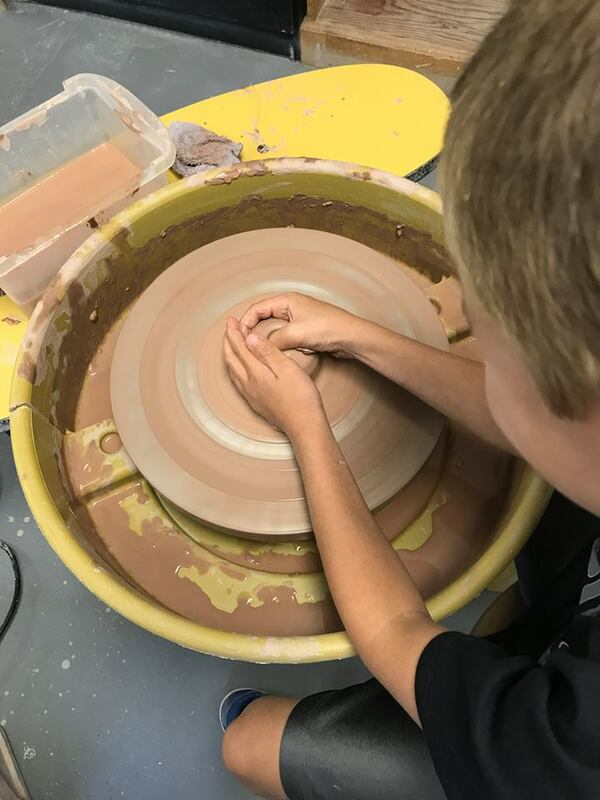 Pottery Wheel monthly classes, Ages 8 and up/4 weeks class. THIS CLASS IS IDEAL FOR A BEGINNER LEVEL CHILD OR ADULT. Ages 8 and older. Participants will develop confidence in the process of creating pottery pieces. 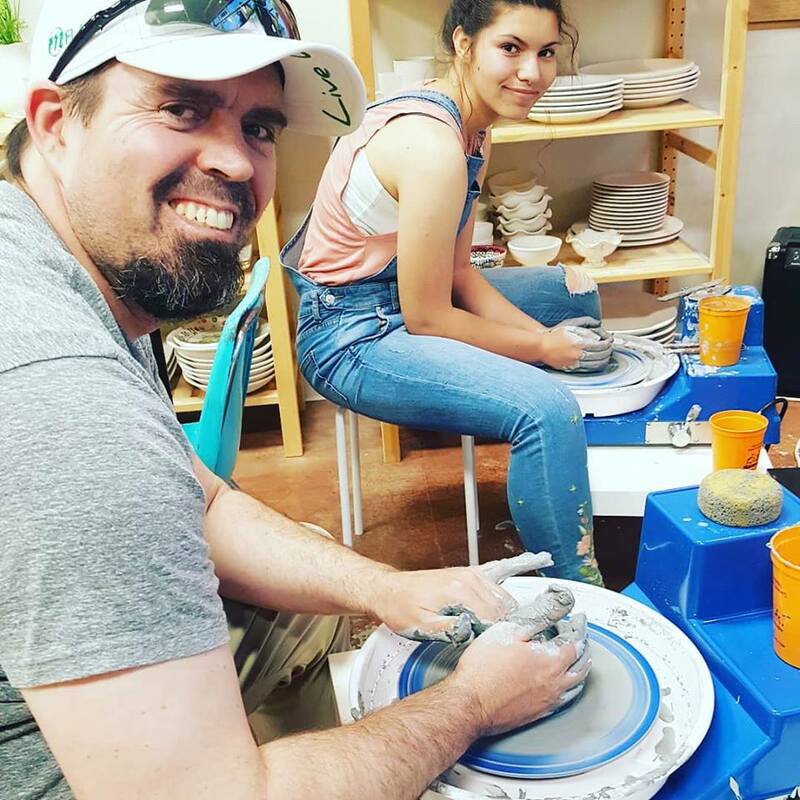 Our professional instructor will guide you through the process of creating pottery pieces as plates bowls and as you progress, vases and mugs. Sign up today! Meets once a week / Tuesday or Wednesday / 60 min session / $110 Times: 4-5 pm/5-6 pm or Saturdays from 11-12 noon. This class requires an apron available to purchase at Hands on Art. To Sign up call at 801-451-7689 for class availability. Do you feel comfortable using a potters wheel on your own? Come anytime within our hours of operation and enjoy the use of our wheels, by purchasing the use one hour at a time. The wheel uses includes tools, 4×4 inches of clay and firing of your piece for only $25. 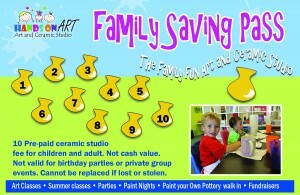 Additional blocks of clay can be purchased for $5 at the studio. The piece will be ready to pick up in two weeks after your visit. To reserve studio time, please call at 801-451-7689.